Are you “No Frills” and just want to be organized? This system is our most economical way to get you organized. 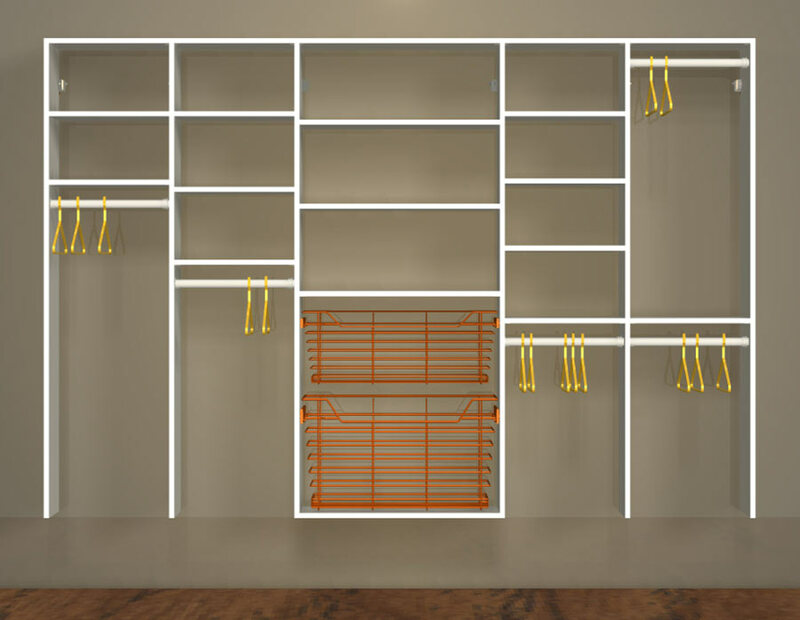 This system uses fewer materials and hangs from a rail that is securely attached to the studs. Since the system does not go to the floor, it is easy to change out flooring. You alos don’t have to worry about the system getting in the way of existing baseboards.